Yards of Happiness – A blog about knitting and things that bring me joy. I’m Dana/DWJ and that’s Jellybean and this is Yards of Happiness. 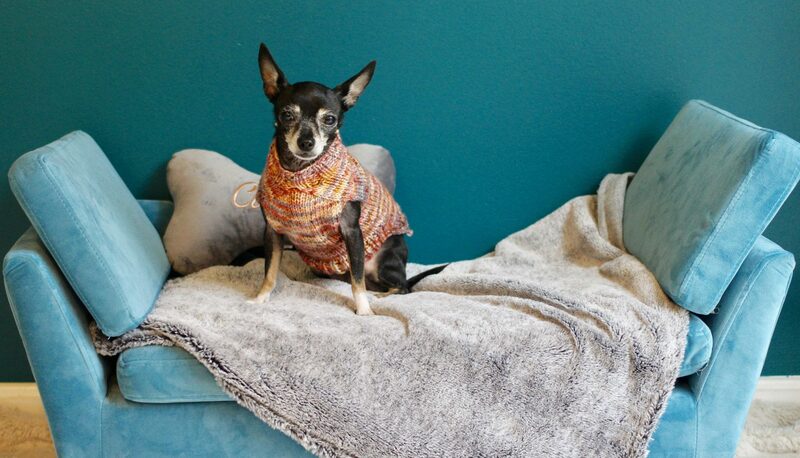 Jellybean is my smallest dog who owns the most sweaters because she’s always cold and she’s totally knit worthy. That pile of sweaters is all hers and my pile is just the beginning of all the sweaters I’ve knit. 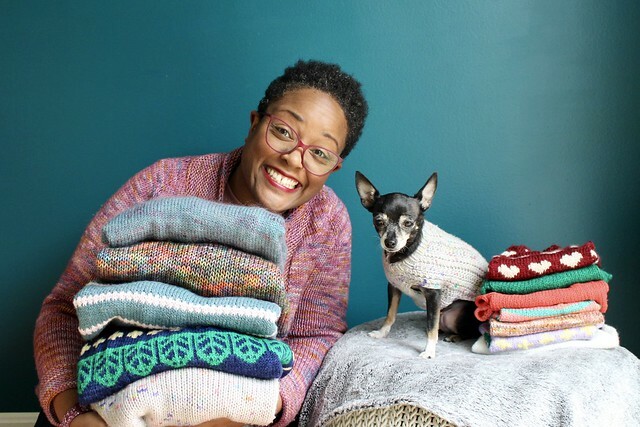 This website is my corner of the internet where I share all my projects (I knit a lot of sweaters), what inspires me (sometimes it’s my dogs), thoughts and musings on all things yarn or whatever else I come up with that sparks joy. I’m happy you’re here and I hope you’ll stick around for a while. You can also find me on Ravelry, Instagram and Twitter and there is an Etsy shop where I have Yards of Happiness enamel pins for sale. But if you just want to dive into the blog, keep scrolling!